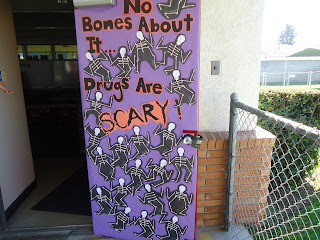 Our door this year was also fun to make. My Kinders made a skeleton out of q-tips with help from their 5th Grade Reading Buddies. We meet with our Reading Buddies once a week, and the 5th graders read books to their Kinder buddy for about 30 minutes. The little ones LOVE getting to choose a book for their older friend to read to them. Once in a while, we will get to do a special project with our buddies. 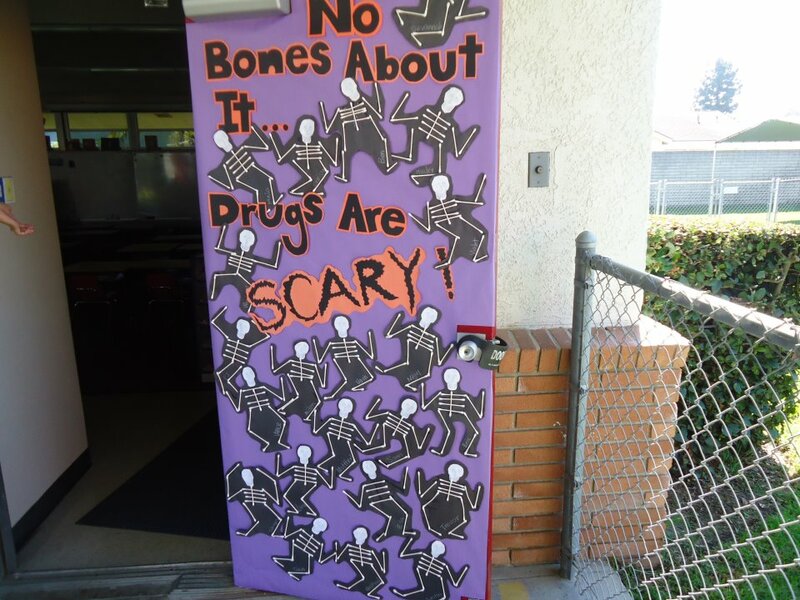 I like this Red Ribbon door because each student participated in decorating it by making a skeleton.